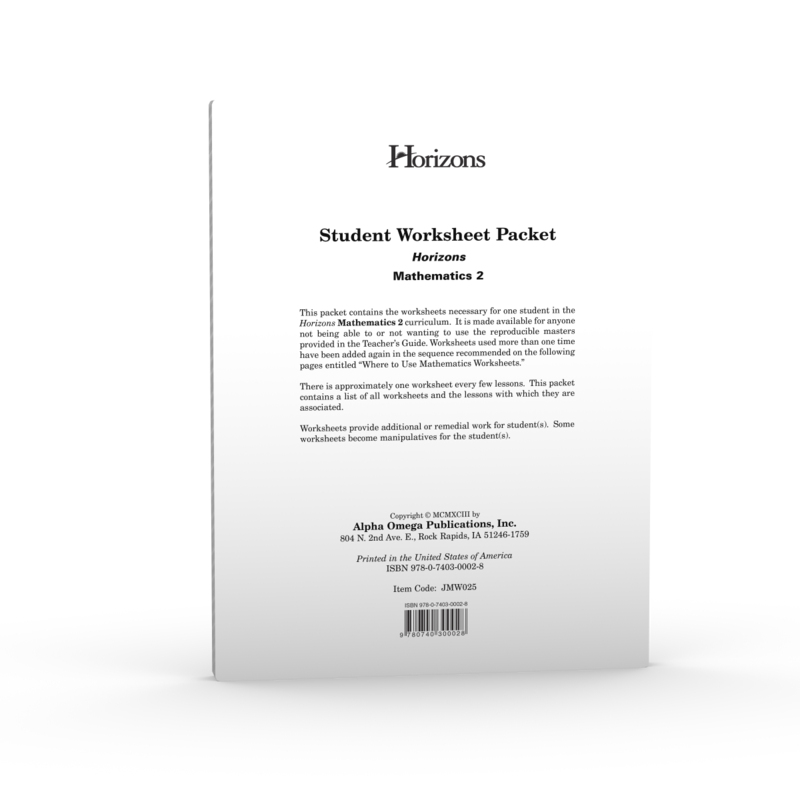 Strengthen your second grader's math comprehension with the Horizons 2nd Grade Math Student Worksheet Packet from Alpha Omega Publications. Eighty unbound, reproducible review worksheets provide additional or remedial practice to reinforce math concepts presented in Horizons 2nd Grade Math Student Books 1 and 2. So why are you waiting? Make math review more fun in your homeschool. Add the Horizons 2nd Grade Student Worksheet Packet to your shopping cart today!